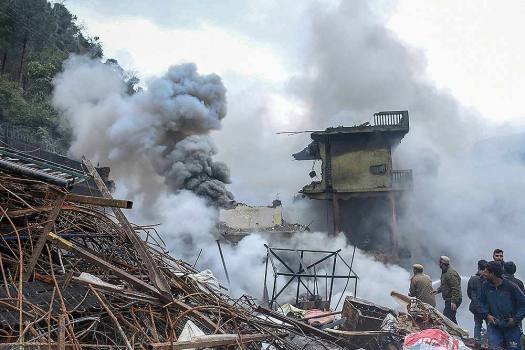 Fire fighters douse a fire which broke out in a scrap godown in Mandi. 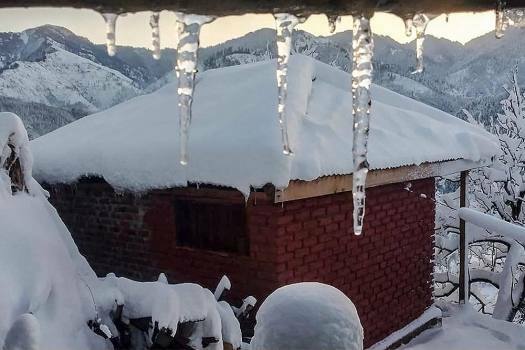 Icicles hang from the roof of a ceiling on a cold winter day after heavy snowfall, in Mandi. 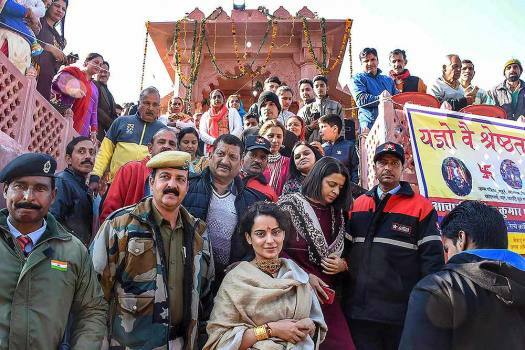 Bollywood actor Kangana Ranaut poses for photos after paying obeisance at a newly-built temple, in Mandi. 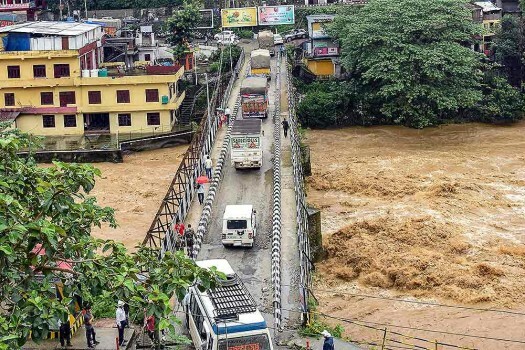 A view of a bridge as Beas river is swollen up following heavy monsoon rainfall, in Mandi. 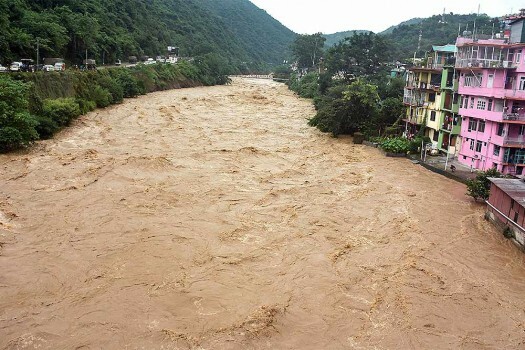 A view of flooded village as Suketi River hits danger mark following heavy monsoon rainfall, in Mandi. 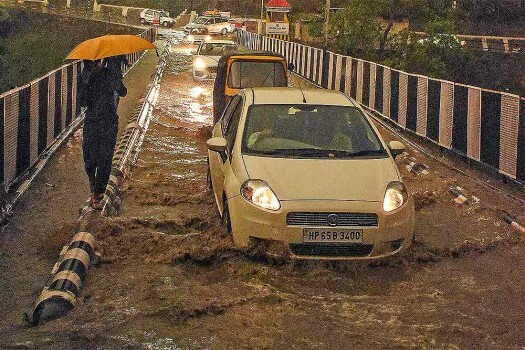 Vehicles pass through a waterlogged bridge during a heavy downpour, in Mandi. 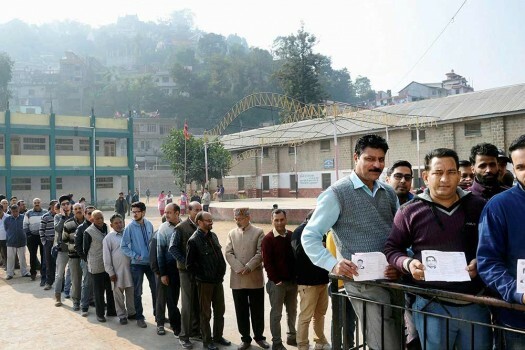 Voters in a queue show their voter identity card at a polling booth in Mandi, Himachal Pradesh. 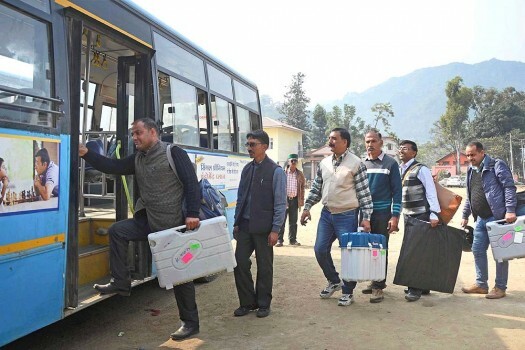 Polling officials leave for the polling stations from Mandi. 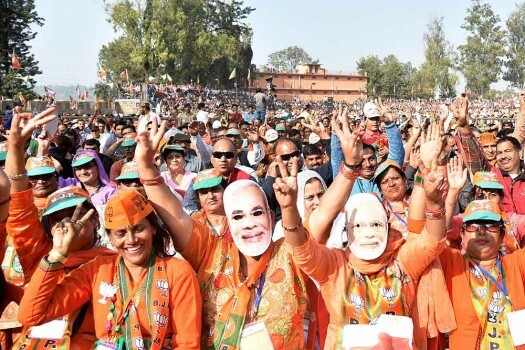 Women wear Prime Minister Narender Modi masks during an election rally addressed by him at Sunder Nagar in Mandi. 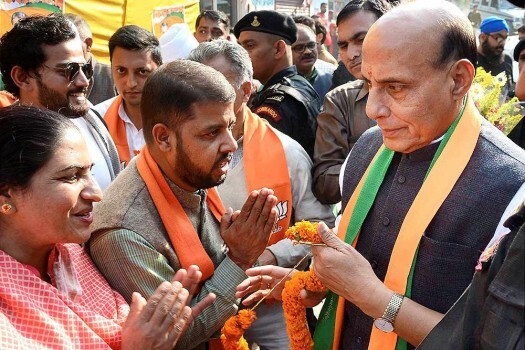 Union Home Minister Rajnath Singh being welcomed by BJP leaders during an election campaign rally at Majhwar in Mandi. 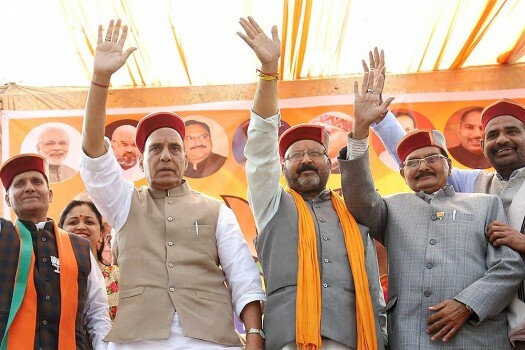 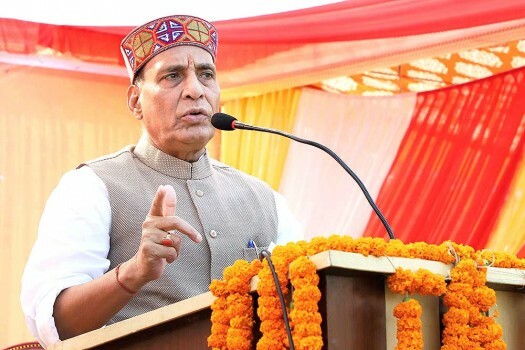 Union Home Minister Rajnath Singh addresses an election rally at Seraj in Mandi. 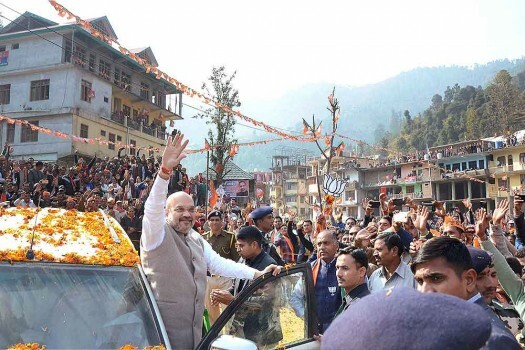 BJP President Amit Shah waves at crowd at an election rally at Seraj in Mandi. 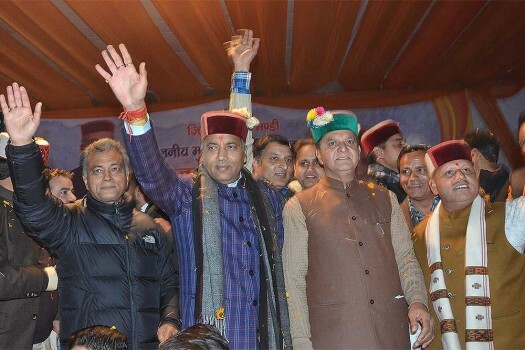 Union Home Minister Rajnath Singh waves to crowd during an election campaign rally at Balh in Mandi. 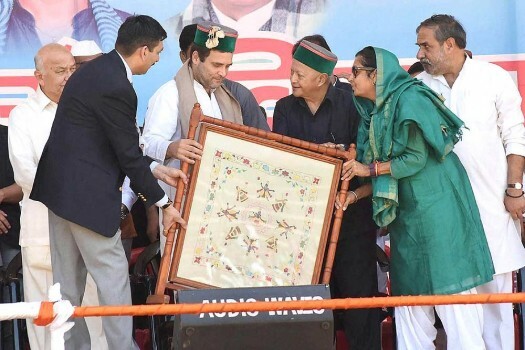 Congress Vice-President Rahul Gandhi receiving a memento from Himachal Pradesh Chief Minister Virbhadra Singh during a rally in Mandi. 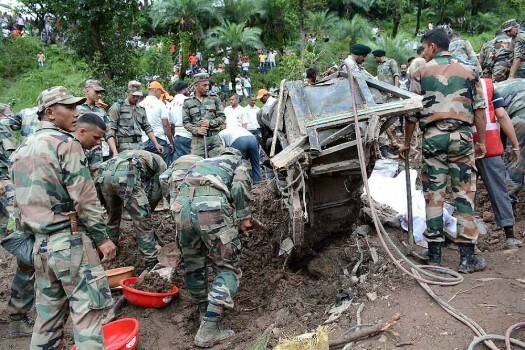 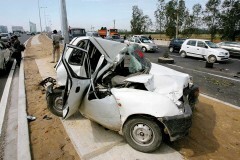 Rescue and relief works being carried out after two buses and some other vehicles were swept away by a massive landslide at Kotrupi in Mandi district on Saturday night. 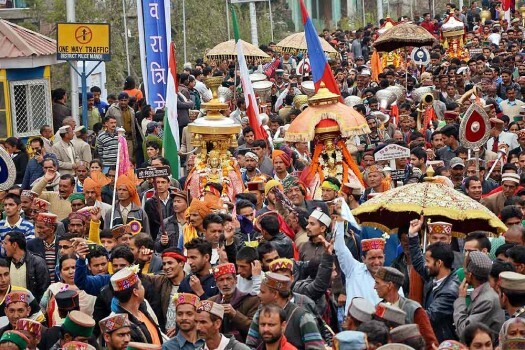 Devotees participate in the second Jaleb (procession) of Maha Shivratri festival, in Mandi. 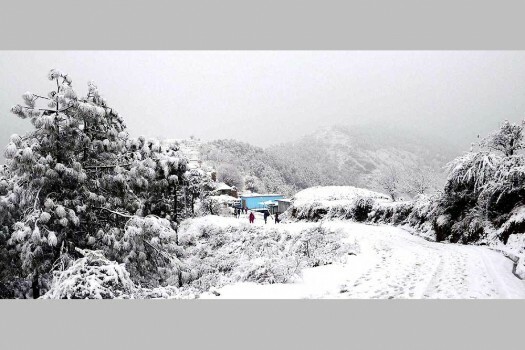 Fresh snowfall at Seraj valley in Mandi. 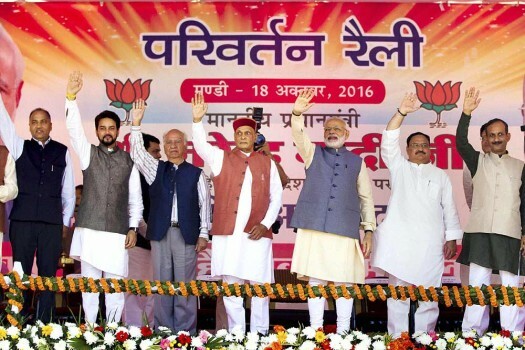 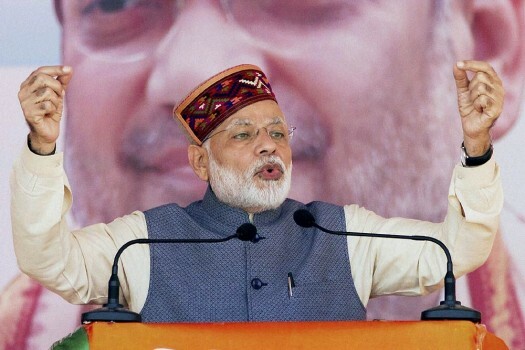 Prime Minister Narendra Modi addresses the BJP Parivartan Rally at Paddal Ground, Mandi.